In Sept 2007 I was given Levaquin for a sinus infection. My sinus infection returned through November and in December I developed Bronchitis, for which my Dr. prescribed Cipro, with a follow dose of Levaquin. On Dec 28, 2007 I sat down to dinner and felt a “shot” in the back between my shoulder blades, and it felt like fire shooting out through my breast bone in the front. I was immediately hit with spasms around my rib cage that made it difficult to breathe. I thought I had coughed so hard that I ruptured a disc. I knew I would have a difficult time being seen at the ER, so I took a muscle relaxer and went to bed. The next morning I woke up and the first thing I remember is that my legs were ice cold. I tried to get up and go to the bathroom, but soon realized that I I had lost the use of my legs. I also lost control of my bowel and bladder function. My husband took me to the ER of our local hospital. After sitting in the waiting room for 7 hours, the hospital filled up and went on diversion – sending me home without having seen any medical official. We went to our local medical college, where I was taken straight to an ER room. I was there 17 hours, had 3 MRIs, and saw a dozen doctors (some were residents). The ER doc requested a Neuro consult, but since it was New Year’s weekend, the orthopedic dept was taking their calls. So I never saw a neurologist. I believe if I had, they would have correctly diagnosed me. As it turned out, the docs at MCG had no idea what was wrong with me and sent me home with some Valium. I continued to decline, and the nerve damage spread further up my spine. In March 2008 I finally got in to see a neurologist, who took all of four minutes to recognize that I had Transverse Myelitis caused by the Levaquin/Cipro which were given along with steroids – which have since been proven to make severe neurological side effects more likely. I was paralyzed from the chest down for about six months before I began to recover some feeling in my toes. Over the next two years I had almost continuous physical therapy, as well as Radiofrequency Ablations to my spinal cord to help deal with the intense burning nerve pain. I continued to recover some function during that time, and in 2011 was able to stand and walk on my own again – although not up to normal standards. Now it is 2016 and I still suffer from burning pain in my thoracic and lumbar spine, have decreased strength in my legs, and balance issues. I’ve fallen six times over the last 4 years, and my spine has begun to degenerate at an accelerated rate. I also continue to have bladder retention, and bowel incontinence. This condition has completely changed my life. I feel blessed to alive and to have recovered as much as I have, because the majority of people who get TM either parish, or remain in wheel chairs or nursing homes the rest of their lives. 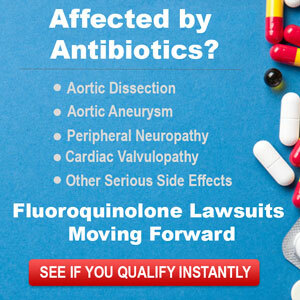 However, if I had known that these fluoroquinolone antibiotics had the potential to cause such life changing damage to my central nervous system, I would have never taken them. I’m glad the FDA put a black box warning on these drugs this year, but I still feel it needs to be stronger and more clearly describe the type of life changing or lethal effects these drugs can cause. I know there is no cure for the neurological pain that I have. I have to take a ton of other medicine now -Gabapentin, Baclofen, and Skalaxin to control the pain and spasticity; Celebrex for inflammation, Valcacyclovir to ward off viruses, Singluar to control allergies and asthma. The acute treatment for TM is high doses of IV Steroids, followed by high doses of oral steroids until the TM is in remission. 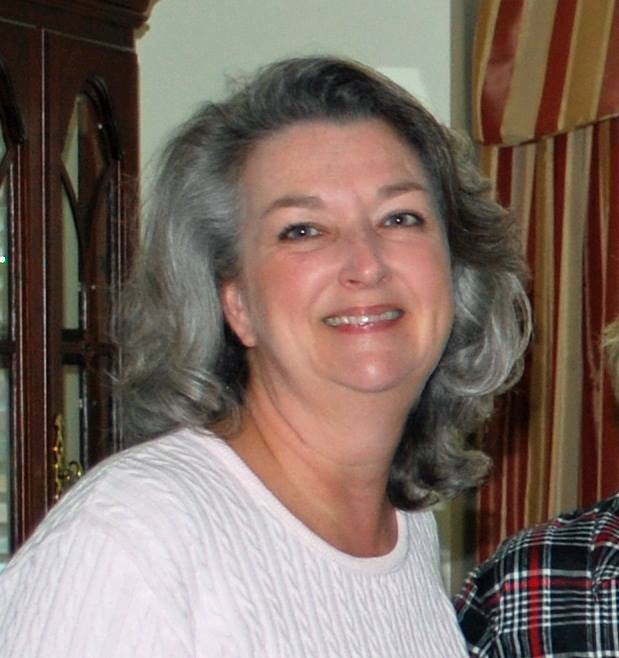 All those steroids wiped out my immune system and I was diagnosed in 2013 with CVID – Common variable immunodeficiency, Then I had to start getting monthly infusions of Immunoglobulin. In 2014 I had a reaction to the IVIG infusions, so now I can’t have them any more. My IgG is still hundreds of points below normal, so I pretty much stay in isolation at home. I am able to go to stores during off peak times of day, but I avoid anyone with a cold or illness, and avoid being inside a room with a crowd of people. That means that I am not able to go to church as I did before. Another side effect of the TM is that now I’m allergic to most antibiotics except 2 oral and I IV antibiotic that I rely on when I do get sick. Thankfully, I’ve avoided additional sickness for the last 3 years, since I don’t have the immune system to fight it off. I’ve also had anaphylactic reactions to most pain meds, so I have to rely on the Gabapentin to control the pain. It comes with its own side effects, but thankfully I’ve learned to manage them and live with it. I have a faithful and loving husband. We now have 3 grandchildren, and one on the way in May 2017. I have a loyal Cocker Spaniel and this year I have begun to draw again. I look for joy in life every day, but at the same time I am always aware that I am not the woman I was before taking the Fluoroquinolone. There is never a morning that I don’t wake up in pain, or a night that I don’t lie down packed in ice packs to deaden the pain so I can sleep – or when I don’t wake up at least twice in pain and have to change positions or get up to replace the ice packs. There are still days when I have such brain fog that I can’t put two sentences together. Even on good days, I’ll start to tell somebody something and get to the end of my sentence and can’t find the word that was just on the tip of my tongue. I used to be a productive member of society, active in my community and in my church. I’ve learned to live with the isolation and loneliness that comes with being disabled like this, but there are still days when it is a heavy load to bear. I still love my life, my family and friends, but what wouldn’t I give to go back to that day and know better than to take that Levaquin. I wish I could warn everyone in the world about the dangers of these drugs and avoid somebody else going through what I have. Thank you for reading this. ** The story above is truthful, accurate and told to the best of the ability of the writer. It is not intended as medical advice. No person who submits his or her story, nor the people associated with www.fqwallofpain.com, diagnoses or treats any illness. The story above should not be substituted for professionally provided medical advice. Please consult your doctor before trying anything that has been mentioned in this story, or in any other story on this site. Please also note that people have varying responses to the treatments mentioned in each story. What helps one person may not help, and may even hurt, another person. It is important that you understand that supplements, IVs, essential oils, and all other treatments, effect people differently depending on the millions of variables that make each of us unique. Please use appropriate caution and prudence, and get professional medical advice.